Las Vegas' "What Happens Here, Stays Here" slogan is one of the more famous taglines in modern tourism marketing and one of the most quoted, talked about, and recognized ad campaigns in any industry. The phrase has not only been a spark that's helped drive millions of visitors to Sin City, but it's also inspired an Usher song and the trilogy of Hangover movies, been quoted by Laura Bush, closed an Oscar ceremony, and been banned from Super Bowl time slots. The campaign was simple and fearless: Focus on the idea of Las Vegas as a guilt-free place where visitors can assume any identity they choose and do things they would never dream of in their lives back home. It worked brilliantly. “What happens here” changed the tourism game in Las Vegas. It triggered a surge in visitors, a generally younger crowd than those who had come before, which in turn gave rise to a nightclub scene that boosted the city’s economy. Where visitors once came to Las Vegas to gamble and be entertained, “What happens” provided the city with a third major draw the chance for tourists to be their own entertainment. “The heart of the campaign is the video,” says Sara Gorgon, an account supervisor at R&R Partners. R&R shares 15 high-quality videos from the past ten years on its Vimeo page. The ads have gone from giving "permission" to visitors to live out their fantasies to the new character being introduced today, the Vegas Enabler – someone that we each have in our lives. The Enabler is meant to celebrate that person who facilitates fun experiences, showing potential visitors who may have an idea of what Las Vegas has to offer, but might need a little nudge to act on that. Ad from 2006 shows a man trying to pick up girls by testing out different occupations. The message: He's free to be whoever he wants in Vegas. 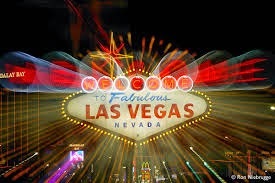 Second add in 2006, a lawn mower charges his boss $35 extra to keep secret what he saw him to do in Vegas. The ad was criticized for going off strategy, but was comical nonetheless. Add in 2007, this ad suggests that even the best-behaved, buttoned-up people can let loose in Vegas. Add Posted in 2009, this clever ad turns the recession and Vegas' dropping visitor numbers into a positive for potential guests. A newswoman bemoans the empty cabanas as sign of the times but quickly rushes off camera so she can enjoy private pools and smaller crowds for herself. 2011 campaign starred actress Tristen MacDonald, a woman who "broke the code" by tweeting and taking photos. In the ad, she is ostracized for breaking the code by her friends, DJs, and other partygoers. 2nd Posted in 2011, ad sees a father struggling to explain to his daughter what grown-ups do in Las Vegas. Thank you so much for sharing about these package deals. I am going to Cuba this month and that id why I was wondering if you know something about american travel to cuba also? Oh really this blog is very nice. You can see tourism services visit : My India Tourism .